1. Side-zippered faux suede ankle booties with criss-cross detailing I've been fawning over for the past half hour. 2. Incredibly chic black onyx bar earrings that pride themselves on being inclusive — they don't ~bar~ any ears from entry. Except...non-pierced ones. For obvious reasons. 3. A dangerously cozy off-the-shoulder sweater competing to win the title of FBFF: Fall Best Friend Forever. Just like the photo model, you also won't be able to stop petting yourself! And who can blame ya when your sweater is so soft! 4. 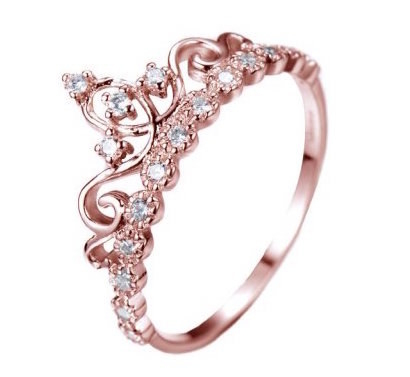 A minimalist silver wave ring with a subdued elegance that might just ~knock you over~. 5. A cold shoulder swing dress that proves dropping temps shouldn't stop you from showing a little bit of skin. After all, that's why jackets exist. 6. A roomy quilted cognac tote with tiny merry balls lining the sides and handles — after all, functionality can't be spelled without a little bit of ~fun~. 7. A classy double-breasted poncho coat that won't be stored away for rainy days — oh no, it'll take center stage and push all of your other coats behind the curtains (or to the back of your closet). 8. 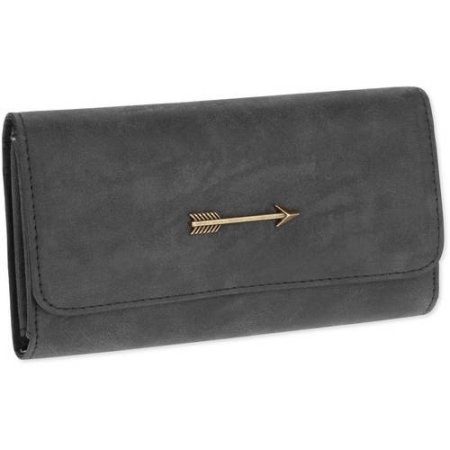 A tri-fold wallet embellished with a dainty brass arrow and a generous interior — look at all those slots and pockets! 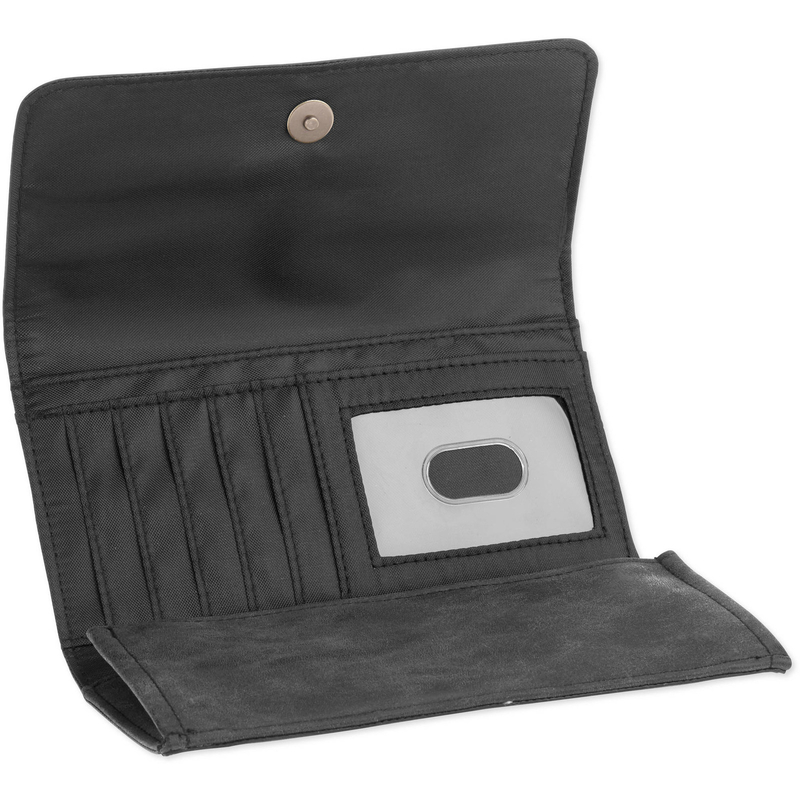 Your cash and cards can finally stretch out their ~digits~. 9. A darling ruffle-trimmed sweater that's sure to ~fill a hole~ (or two!) in your wardrobe. 10. 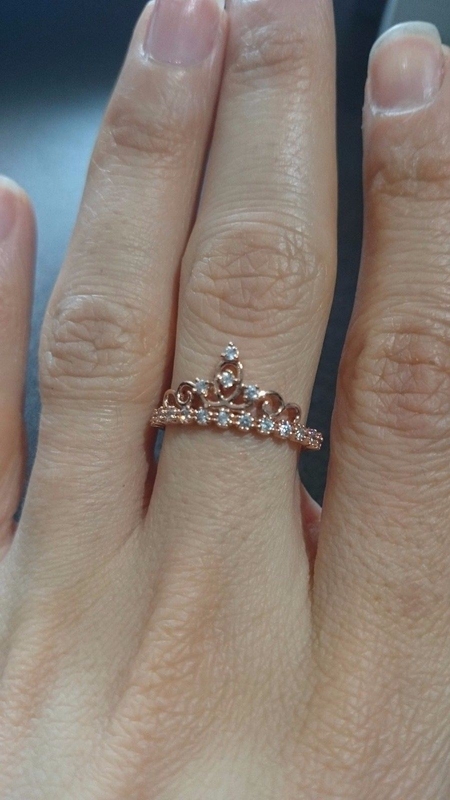 A lovely rose gold ring dotted with sterling silver that is totally fit for a princess (on a slight budget) — even monarchs go through rough times, you know. 11. Rosy mirrored aviators that are actually very nice and well-mannered — contrary to popular belief, they won't ~glare~ at you (nor will they let their close friend, the sun). They also won't take it too personally if you accidentally drop them (impact-resistant) or if your cat takes a swipe at 'em (scratch-resistant), but I heard it's best not to test that feline-aviators relationship, period. 12. 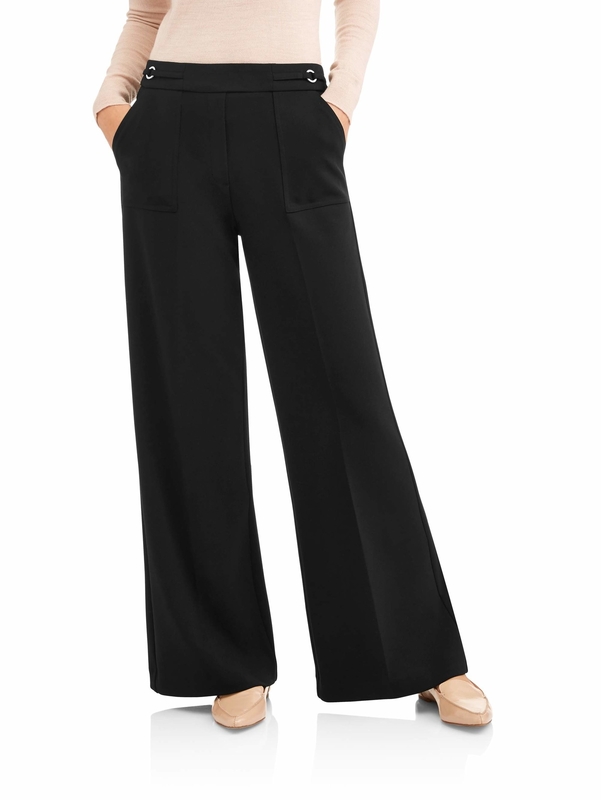 Trendy wide leg pants with the ability to impress your bosses — due to your impeccably sophisticated style, of course. 13. A delicate gold branch necklace inspired by a certain Disney classic — the one where a beast must learn how to ~branch out~ and allow himself to love and be loved, whatever it's called! 14. A sleeveless mock neck dress to compliment your attitude on any given day — swinging with confidence from task to task! 15. An embroidered sweater with somewhat cautious tendencies — it keeps its heart guarded but feels secure enough to wear its florals on its sleeves. 16. A sassy floppy straw hat to further emphasize your OOO email message. Yeah, don't try my phone either — it'll be on airplane mode. If you're prefer a floppy hat sans message, check out this one. 17. 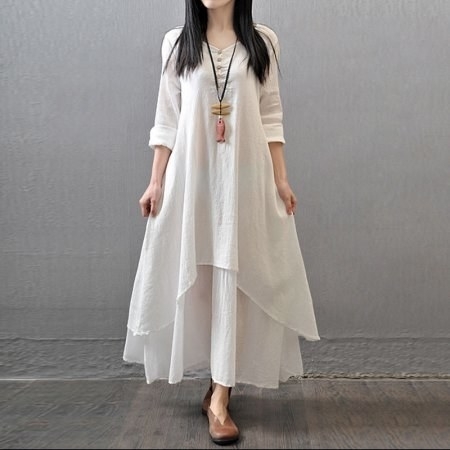 A free-flowing peasant dress that will ebb and flow in the wind as you walk — because you deserve to feel lavish on your afternoon errand runs. 18. Scalloped faux suede heels with a pointed toe so sharp that it could be used as a weapon. Not encouraged, but as a last resort, of course. 19. A casually chic ribbed longsleeve with subtle crossover detailing you'll throw on every single morning you can't figure out what the hell to wear. 20. An off-the-shoulder number that swiftly solves your indecisiveness — do I want to wear a dress? A romper? Why not both?? 21. A turquoise arrow cuff bracelet with really easy instructions on how to wear it — aka the arrows direct you to where your wrist needs to go. 22. An easy breezy off-the-shoulder top that feels soft to the touch (and soul).